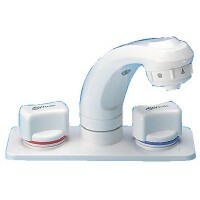 Handy, compact and made from high-impact engineering grade plastic. 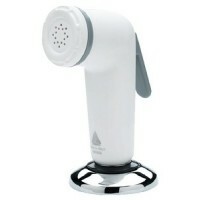 Contains hand-held shower spray .. 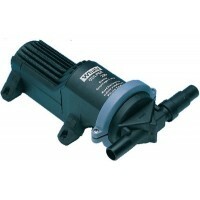 Complete wash down pump Volts: 12GPM: 4.. This sump box features an air vent to prevent air locks, slotted mounts for easy installation & remo..
Adjustable chrome wall mount gives you great flexibility in positioning your showerhead. 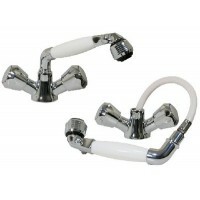 2-Position ..
Shower Flex Hose features built-in connectors for easy installation to a standard 1/2" shower arm an.. 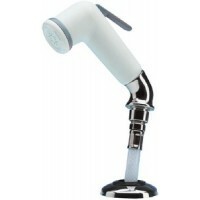 This chrome plated, ergonomically designed handheld shower head offers 4 spray patterns from drenchi..
Diaphragm pump is ideal for shower and grey water. Runs dry without harm. Operated with a manual on-..
Diaphragm kit f/4405 series Volts: Diaphragm Kit (Incl.Pistons & Screws)GPM: Amps: ..
Press.switch f/4405 4305 35psi Volts: Pressure Switch for F/4405 4305GPM: Amps: ..
Service kit f/wd ws & sd pmp Volts: Service Kit: Includes Check Vlave, Diaphragm Kit, Side Clips, & ..
An Aquatik complete shower or washdown system can be plumbed into your boat in several ways. Use the..
Shower sys.complete w/102valve Description: Complete Shower System..
General purpose 3.5 gpm 12v Volts: 12GPM: 3.5Amps: 10.. 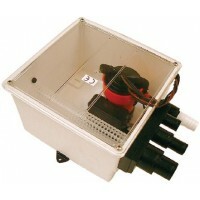 Compact shower sump offers multiple inlet ports to handle sink, shower and condensation drains all a..
An ultramodern, single-chamber, self-priming diaphragm pump that can be set up in several different .. Features a clear, screw down cover, a duckbill back flow device to prevent back siphoning, float swi..
Thread type: 1/2" male straight. Color: White.. These reliable plastic and chrome/brass sprayers have an on/off trigger or flip up for continuous wa..
Elbow Euro sprayer handle. Thread type is 15/1 female metric. Color: Black.. 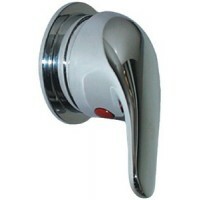 Plastic handle with chrome brass head, on/off push button and 6' nylon hose. 2-1/4" Mounting hole. T.. 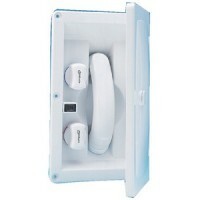 This compact cold water shower control can be counter top or bulkhead mounted. Maximum counter or bu.. 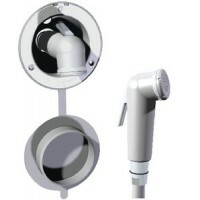 Pull out cold water shower/combination with adjustable aerator (shower or faucet flow) and built in ..
Minimalistic combination shower/faucet mixer with smooth action single lever control. 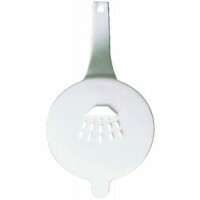 1/2" Male NPT ..
Mixer shower comb wt wcvh 5'..
Chrome brass mixer with white plastic shower handle and 6' nylon hose. Acrylic capped ABS housing. 3..
Thread type: 1/2" male straight. 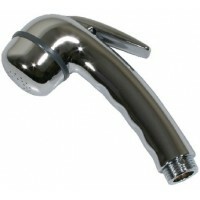 Color: Chrome..
Chrome brass mixer with acrylic knobs, 6' nylon hose and plastic shower handle. 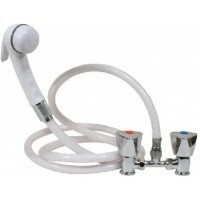 Acrylic capped ABS h..
Shower kit with mixing bridge, "Euro" style shower handle, and nylon hose. Chrome brass body with ch..
Patented fourth generation recessed shower. 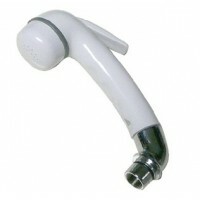 Easy to use push button sprayer handle has built in grab..
316 Stainless steel cover with composite cup and 6' nylon hose. 3/16" BSP female water connection. 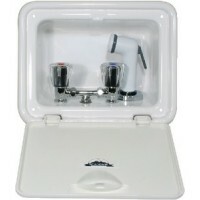 D..
Chrome plated brass mixer with compact trim ring. 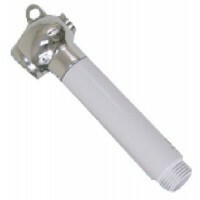 Ceramic valves for a drip free faucet. 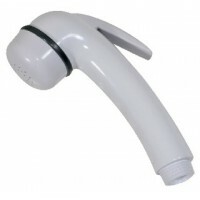 1-3/4" Moun..
All units can be locked in the on position for continuous flow or just push the trigger for manual c..
Straight push button sprayer handle for recessed showers. Thread type is 1/2" male straight NPT. 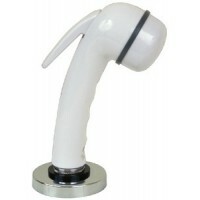 Col..
Elbow Euro sprayer handle. Thread type is 15/1 female metric. 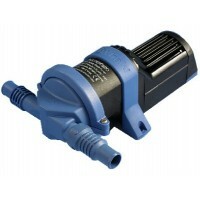 Color: White..
Quiet, large diaphragm pump can run dry without damage and is specially designed to pump waste or sh.. 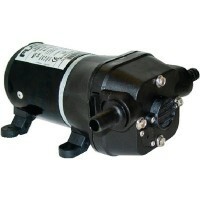 This large diaphragm pump easily handles multi-drain gray waste water, remote mounted bilge pump, or.. 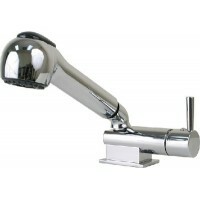 This combination mixer unit acts as either a faucet or "pull up" shower with a wall bracket or riser.. 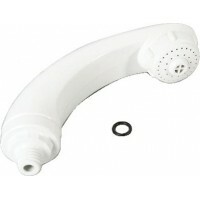 Attractively designed white ABS plastic housing and handset are UV stabilized and includes 7' of hos..
Handset new style 1/8 elegence Description: Replacement Handset (New Style w/ 1/2" Hose Threads)..
Handset old style 3/8 elegence Description: Replacement Handset (Old Style w/ 3/8" Threads).. 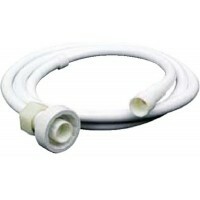 Hose old style 3/8 elegence Description: Replacement Hose (Old Style w/ 3/8" Threads)..
For marine applications such as washdown, wet bars and transom showers. Comes with a 1/2" female ada.. 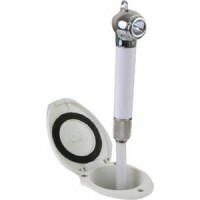 This easy to use compact shower is the simple deck shower solution. The shower boasts high performan..